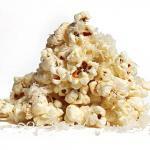 From housemade pickles to truffle popcorn, there is life beyond fries. Housemade pickles, Bouquet. Forgive us the A-word, but these artisanal accessories are a haiku to the cuke: pale and ponderous. Coleslaw, Zip’s Café. $2.50. 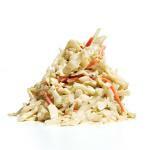 With absolutely righteous crunch, and not chopped down to nubs, this is the proper slaw at the proper joint. Fried pickles, Paxton’s Grill. $7.29. 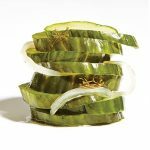 Defying laws of nature, indecent and delightful, the Azealia Banks of pickles. Simple kale, Krueger’s Tavern. $5. 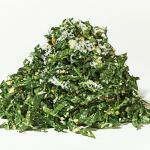 A delightful haystack of kale drenched in tart lemony goodness. Who cares if it’s good for you? 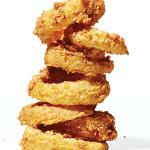 Onion rings, The Gas Light Café. $3.50. 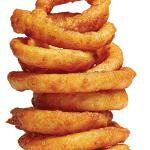 Old-school O-rings, good fresh batter and sweet onions. Asparagus fries, Gabby’s Café. $8.50. 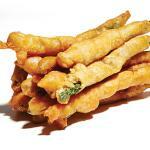 Tempura by another name, fried yet technically still a green vegetable. Win. Onion rings, The Elusive Cow. $11. 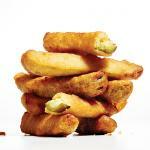 Goes to the left-field wall – these cornmeal-hardy hoops are as much hush puppy as ringlet, and they are all good. Truffle popcorn, Dutch’s. $3. Too good for the snack bowl, this rich diversion is a perfect burger intermission. Collard greens, Bistro Grace. $7. 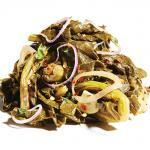 It’s hard to find great collards in the Queen City, and Bistro Grace doesn’t cook them down to mush.